The huge amount of data produced by Internet of Things (IoT) is for the most part being produced, consumed and acted upon in silos. Collective intelligence from this data cannot be used to deliver the value that IoT promises until these silos are connected. Most of the players in IoT space are creating their own ecosystems by designing proprietary approaches for their smart “things” to interact and work together. They typically have different protocols for their smart devices to communicate with each other, have separate local hubs, independent connections, isolated cloud instances, and custom mobile apps to monitor and control. In order to bring real value to end users, IoT needs a unifying standard that will bind all “things” together. The solution could be a specification, a middleware product or some OS features, but it has to be open for everybody. The other key factors for its mass adoption, like low cost and energy efficient hardware, infrastructure in the form of Cloud and Big Data technologies, pervasive wireless networks, and mobile devices have dramatically evolved over last few years. This challenge also offers a big opportunity for those who are willing to bridge the gap. There are multiple initiatives underway to address it. I have briefly summarized some of those below by categorizing them into two broad areas based on the connectivity type. 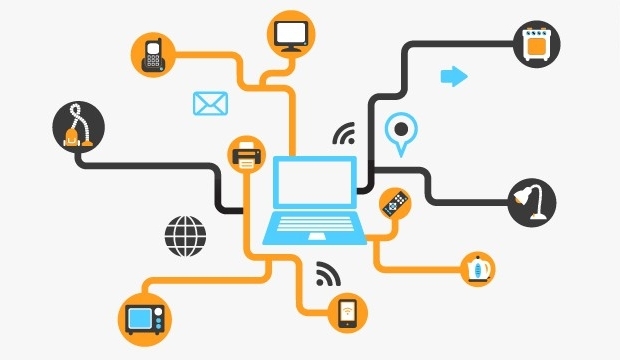 There are groups focusing on simplifying connectivity in local areas like homes, cars, buildings or factories that use short range protocols like Wi-Fi, Bluetooth, Ethernet, and Powerline (PLC). Google recently announced a new networking protocol called Thread that aims to create a standard for communication between connected household devices. Thread differentiates itself from other protocols by relying on a low-power radio protocol called IPv6 over 6LoWPAN. Qualcomm and The Linux Foundation has formed the AllSeen Alliance and have enlisted many prominent players. This is particularly interesting as it offers an open source framework called AllJyon which enables negotiating connections in a device, OS, and network agnostic manner. AllJyon can run on all popular operating systems, their embedded versions, and even on sensory devices that don’t have a full OS. Intel has recently formed an alliance called Open Interconnect Consortium (OIC) and The Linux Foundation is supporting it. Their idea is to foster an open environment and possibly provide an alternative to AllSeen (as some members of that have sense of distrust surrounding Qualcomm’s intentions with AllJoyn). Other initiatives in this category include 6LoWPAN, IEEE IoT and Industrial Internet Consortium (IIC). There are legacy fieldbus and automation technologies based on IEEE 802.15.4 or ISA 100. Z-Wave and ZigBee are popular for home automation and have good support from manufacturers. However these are constrained either by network protocol, speed or energy requirements. These legacy standards and relevant technologies will need to evolve further in order to be part of IoT. There are groups working on addressing IoT connectivity needs where these smart things are in open, wide areas and likely mobile. Telecom operators are particularly active in this area and the International Telecommunications Union (ITU) has been working on Global Standards Initiative on Internet of Things (IoT-GSI) to promote a unified approach on a global scale. ETSI (European Telecom Standards Institute) is also working on standardizing M2M Services. There are attempts by individual carriers like China Mobile which believes that IoT will attract millions of subscribers. It has launched M2M products like Car Service Link, Elevator Guardian, Fire Control System, and industry-specific solutions for logistics, electricity, finance, etc. Another interesting activity in this area is around use of TV white space to develop low energy low cost devices for IoT. As an example, Neul has developed a $2 chip based on Weightless protocol that has a range of over 10 kilometers, can work from a single battery for over 10 years, and is capable of tuning across the entire UHF TV spectrum. I believe we will have to wait until these standards and frameworks evolve, clear winners come out of that evolution, and some consolidations of offerings happen. Until then the smaller silos will be connected to build the bigger ones. Please do share your thoughts and suggest any new initiatives that you think are notable.